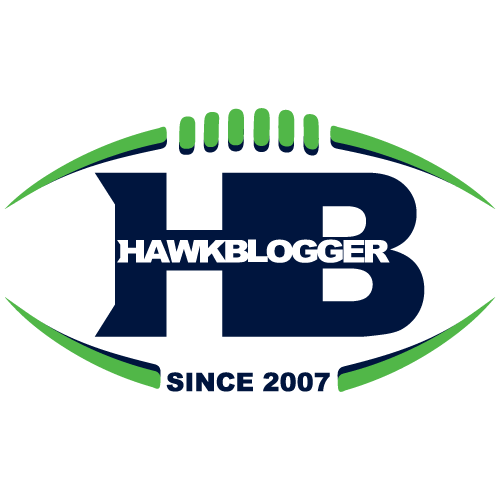 Real Hawk Talk Episode 52: Is Pete Carroll to Blame for Playoff Loss? Art is always open to interpretation and critique. One person’s Mona Lisa may be another’s poker playing dogs. Football games are no different. Some will look at the Seahawks 29-13 win over the 49ers and see a meaningless performance against a hapless opponent. Some will decide the Seahawks are back, and ready to roll. If you divide a football team into five parts: pass offense, run offense, pass defense, run defense, special teams, the Seahawks showed undeniable growth in at least two of those phases. This season is about growth more than any other since 2012. That is how this team has to be measured until they demonstrate they can maintain a high level of performance for an extended period of time. Sunday was encouraging. Appreciate the process of the artist putting brush to canvas. Let the critics debate whether it is worth framing. Nobody would argue that the worst unit on the Seahawks roster this year has been the offensive line. Few will take the opportunity to give the praise when they do their job. They deserve a pat on the back for their contribution to the team’s best offensive performance of the season. Trent Dilfer said last week that the Seahawks line is, “horrible. Not bad. Horrible.” I don’t think most people would disagree. They may not be talented enough to allow this offense to be consistently competitive, but the signs of development are hard to dismiss. The last time Seattle faced the 49ers, Russell Wilson was sacked 5 times. He has been sacked 4 times in the last three games combined, including the rematch with the 49ers yesterday. Seattle averaged 4.4 yards per run in their first four games, 4.7 in their next four, and 6.0 in their last two. Seahawks running has progressively gotten better, and it is not reliant on Wilson scrambles. These are repeatable running plays. Seattle averaged 128 yards rushing per game in their first four games, 151 yards rushing per game in their next four, and 185 in their last two. Skeptics will ask about who the competition was. Rushing for 255 yards is remarkable against any NFL defense. Dominating inferior competition is exactly what the Seahawks teams have done in past years. More importantly, the progression in both pass protection and run defense is apparent. That was Wilson’s best game of the season. He threw the ball on time and in the rhythm of the offense more than in any time in recent memory. His receivers rewarded him with reliable hands and tough catches in traffic. He also used his legs wisely and decisively. Wilson ran the ball nine times. He has only run the ball more twice this year, but this felt different. These were not frantic scrambles away from pressure. Wilson saw opportunities to grab 5-8 yards on the ground on early downs and took them without any threat of getting hit. He was running out of bounds and leaving the team with more manageable second or third downs. That is when Wilson is at his best. Throwing on time and with accuracy, blended with smart decisions to run, make him a nightmare for opponents. There are two primary quarterback measures used in modern football. Quarterback Rating (QBR) was developed by ESPN and is considered a more complete measure of a quarterback. Passer rating is the old standard that most people are familiar with. Wilson had a 94.0 QBR yesterday (100.0 is the best you can get). He has only reached that level six times in his career. He had a 138.5 passer rating. He has only had two higher ratings in his career. He also had 3 passing touchdowns for the first time since 2013. That is something he did somewhat regularly in his first two seasons. He did is six times in 2012 and 2013, but had not done it since. Wilson has been part of the problem on pass protection as well, so he deserves credit for helping that sack total coming down. Just like the offensive line, none of this means Wilson has reached development nirvana, but it is encouraging growth against any level of NFL competition. I didn’t forget the star of the day. How could I? Thomas Rawls put a smile on the face of every Seahawks player and fan with his record setting 209 yards rushing. He broke a long-standing rookie record set by Curt Warner in 1983. He has started four games and rushed for at least 100 yards in three of them. He is now averaging an absurd 6.0 yards per carry on the year. This is what a runner who can stretch the defense outside and run violently inside can do in this offense. Everyone loved seeing Rawls finish his runs by trucking whoever dared cross his path, but his most impressive and important attribute has been his fantastic lateral burst near the line of scrimmage. He is planting and cutting 2-3 yards right or left into an open space that he sees. He creates separation and is then just as easily able to cut directly back up the field to maximize the yards gained. That shows up in his lack of negative plays. Rawls has just five rushes of negative yardage in 101 attempts (5.0%). Adrian Peterson has negative rushes on 15.9% of his attempts this year. Doug Martin is at 12.2%. Todd Gurley is at 10.3%. Marshawn Lynch is at 17.1%. Lynch is a special player and should be treated with the respect he has earned. That does not mean coaches can afford to ignore how much Rawls adds to this offense. He is getting every yard available to him. This offense needs that. Badly. That is pretty good company. To put Rawls game against the 49ers into perspective, consider that the last time a player had at least 200 yards rushing, 45 yards receiving, and 1+ touchdown rushing and receiving was in 1963 by a guy named Clem Daniels. There have been plenty of bad teams over the years. Rawls and this offensive line helped do something exceedingly rare. To give you some sense of how hard it has been for this Seahawks franchise to develop receivers, only three rookie receivers have had at least two touchdowns in a game before Tyler Lockett did it yesterday. The last time it happened was in 1995! Joey Galloway was the guy who did it back then. The only other two were Brian Blades in 1988 and Daryl Turner in 1984. That is almost cringe-worthy. Hooray for Lockett. Yikes for the franchise receivers. The first touchdown was a thing of beauty. Lockett was reasonably well covered but had definitely won and gave Wilson a chance to make a play. He did exactly that, making his best throw of the day. It was perfectly threaded into Lockett’s waiting hands. It was the type of throw that makes comparisons to Colin Kaepernick so silly. Wilson is able to make throws that a lot of quarterbacks cannot. His issues are pre-snap and making those throws reliably. Doug Baldwin played his usual solid game, and now has 100 straight catches without a drop. Jermaine Kearse reappeared and made a couple hard-nosed catches in traffic while absorbing some big hits. Jimmy Graham caught every ball thrown his way, and helped to convert on third down. It is never good to see a player like Ricardo Lockette go down with an injury, or to see a player fail to live up to expectations like Chris Matthews. Seattle, however, is benefitting from a higher concentration of snaps going to their better receivers. Paul Richardson can get back when he is ready and make the team stronger there. Seattle gave up more explosive passes (8) to Blaine Gabbert than they did to Carson Palmer, Cam Newton, Andy Dalton or Aaron Rodgers. That is ridiculous. At least half of those have to be attributed to Cary Williams and his seemingly allergic reaction to being within five yards of any opposing player. The NFL official statistics show Williams with four passes defensed on the year. That feels generous. He has been absent far too often, especially in zone coverage. The 49ers exploited his lapses repeatedly, and Pete Carroll eventually could stand it no more. DeShawn Shead replaced Williams and Marcus Burley slid into the nickel role. That has rarely happened in Carroll’s tenure here. Giving up explosive plays is a mortal sin in this defense. It has become habitual for Williams. The return of Jeremy Lane this week should give the team some more options for how to handle this. Lane is best suited inside. Shead matches up better with bigger, less shifty, receivers. My guess is Carroll will give Williams one more shot, but with a short leash. Nobody should be throwing bouquets at the Seahawks feet for soundly beating the 49ers. There were clear signs of encouraging development. Now comes a big time quarterback and offense, and with them, an opportunity to win one against a winning team. I see plenty of folks trying to figure out playoffs scenarios. Forget all that. This Seahawks team has not made that worth the effort yet. Beat the Steelers and the Vikings and we can start looking ahead. Losing either of those games makes a playoff appearance nothing more than window dressing on a disappointing season. This team goes to the playoffs with bad intentions, not to get a participation ribbon. One good game is in the books. Time to make it two. 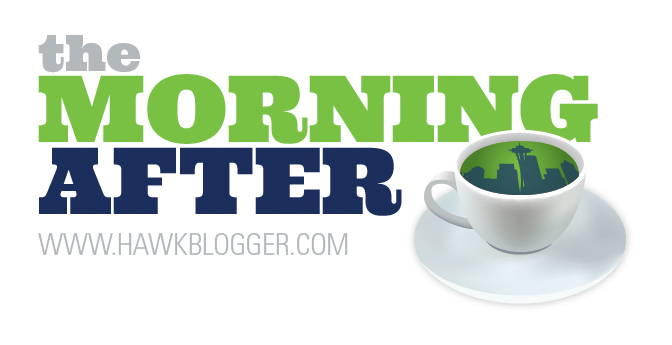 Real Hawk Talk Roundtable: What changes do Seahawks need to make?